With the help of a strong squad, Dave Harvey and ALS Contracts, ambitious Gary 'Patch' Patchett, 57, hopes to contribute to a swift promotion for Halesowen Cricket Club. The Club is currently in Division 1 of the Birmingham League and this, as a consequence of the recent reorganisation of the League structure, means they're in the top twenty-four clubs in the Greater West Midlands area, alongside Himley, Bridgnorth and others. Gary commented: "Our ground has recently been voted third in the division for pitches in play and second for outfield quality and I think, with the right pitch in place, which is what we're working towards at the moment, we can help to take this club even further." 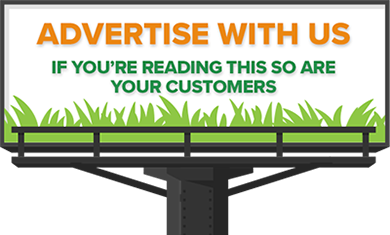 "This year, we've had our renovations done with outside contracting help for the first time in five years. I knew there were benefits, but I had no idea that the operation would be so smooth." "In March 2017, ALS Contracts brought down an Amazone Profihopper and Bobcat digger. We had 120 tonnes of sand delivered from Bathgate Silica Sand, and what happened afterwards was like a scene out of Thunderbirds." "They got the artic in place, the two machines came off it, then they proceeded to spread three or four tonnes at a time ... a couple of hours later, it looked like a beach out there. It was fantastic." "We had a big problem with bobble in the outfield and I didn't want to get the surface flat by just rolling it. Instead, I wanted to avoid compression, so concentrated on building it up in lighter areas, rather than reducing it in heavier spots." "So, we did a lot of work with a twelve-tine pedestrian spiker, which takes about twenty-five hours to cover the whole outfield but, thankfully, I got it done in about four days." 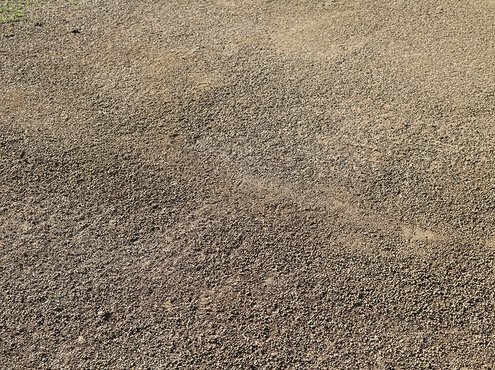 "We spiked down to about six inches, overseeded with Maxwell's LM3 (which I find to be a good allround outfield seed), then laid the sand down. 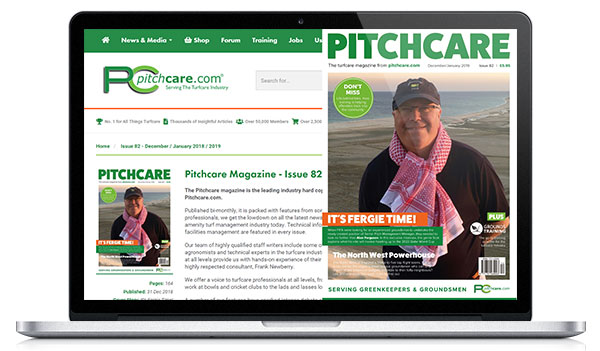 I've got a chain mat that I tow with a compact tractor, which worked the sand into the tine holes." "We got some good growth for the first month of the season, but we were getting maybe the odd puff of sand dust when the ball struck the ground. But then, after the grass had chance to establish, it looked loads better, and the run of the ball improved a lot too." Gary continued: "When we sanded the outfield last season the overall cost was approximately £4,000. That represented a third of my budget for the entire year, and I had spent it by April! The rest of the year I had to be sensible and pray that nothing went majorly wrong with any of the machinery." Certainly, the biggest testament to the effect of that work is that we didn't lose one home game during the 2017 season to the weather because the drainage improved so much. It helped as a penetrant too, because the sand and tine holes allowed water to get right down to the roots where we needed it, instead of draining off the surface." "Last summer though was a nightmare. We had great sunbathing weather in the early summer, but it played havoc with wicket preparation. With our ground being used extensively for youth cricket during the week there isn't as much opportunity to water as I'd like so you rely on nature doing it's bit." "My wife, a teacher, jokingly said: 'This weather's lovely in June and July, but you watch it turn just as the kids break up from school' - and that's exactly what happened." 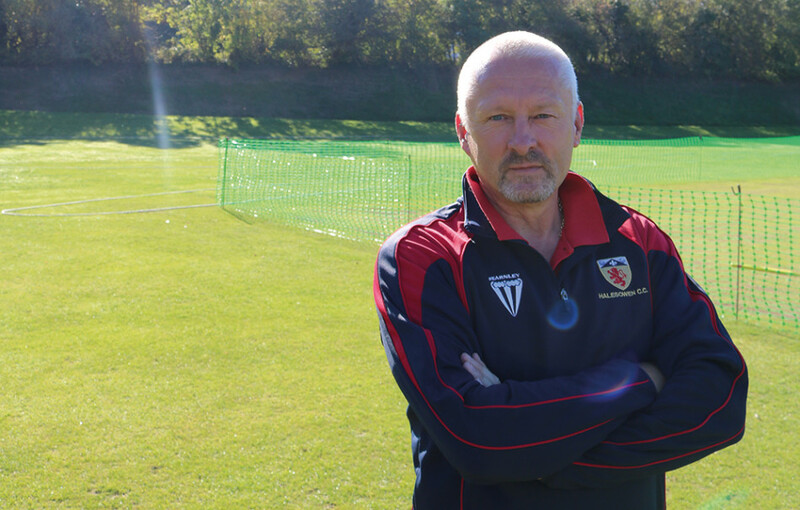 Gary has been working as head groundsman at Halesowen for five seasons now, but life before this was very different. For thirty years prior, he worked for himself in one way or another. All the jobs revolved around international shipping and freight transport. Gary said: "A few years ago, I was lucky to be financially comfortable enough to stop working full-time and my son had started to play cricket at the club as I had done back in the day! I wanted to be more involved in his game and therefore offered my services as an assistant groundsman. About four weeks after that, the head groundsman at the time decided to move on, so I ended up taking the place on almost immediately." "Obviously, it meant I had a very big learning curve to contend with, but we agreed to give it a trial to see if it suited both parties. I've learnt a lot since then of course, and, hopefully, I must be doing something right to still be here." "I was very keen to learn the technical side of this industry and I set out to gain a certain level of knowledge. 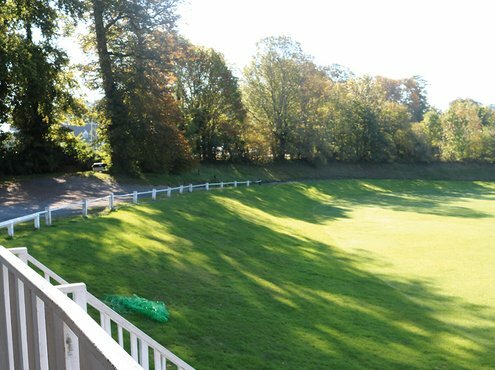 When you prepare a cricket square for League cricket, there are certain levels you need to meet, so I immediately undertook some training through the Worcestershire Groundsman's Association." "Above that though, I like to know what I'm doing. I think it's helpful for all of us to know the theory behind what we're doing as we go along. Obviously, there are some people out there who are happy to be directed in their groundwork, but I think it's important to know the reasoning behind what we do. Longer term that means you can be trusted to do more independently. It goes without saying that those with a better understanding, definitely do a better job." "That links in to the fact that I like to be proactive, rather than reactive. If there's an issue, I will look it up, and I follow a lot of people on social media and interact with industry publications to help plan and schedule maintenance and feeding regimes." In season, the primary focus is preparing for whatever cricket is being played during that week. The culmination of that is the first or second team game on the Saturday. 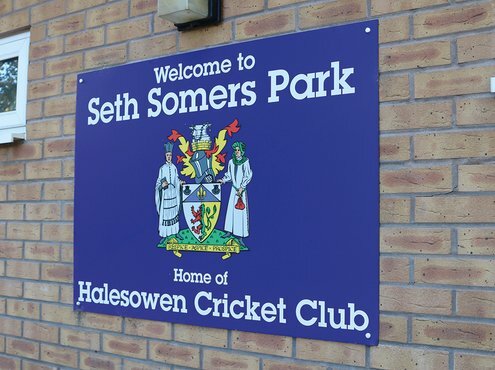 Senior training takes place on Tuesday and Thursday evenings and, with the addition of County games, there are usually three or four wickets that are either in use or in the course of preparation. "We have thirteen strips on the main square itself," Gary continued. "We've added three at the top end and two at the bottom end of the ground which we converted from outfield a few years ago. They're now treated as part of the square and get the same treatment as the middle strips and they're used for the younger age grade cricket." "On a monthly basis, the square will be fed with a granular fertiliser applied when rain is forecast. I'm fortunate enough that we have our own spraying equipment so that I can treat both the outfield and the square with feed or chemicals, without the need for using outside contractors. About eighteen months ago, I convinced the club that we should invest in spray equipment and my training, so I've now got my spraying certificates and it's proven really invaluable from a time and cost perspective." "I like the good all-round fertilisers and use Maxwell Premier throughout each season to keep good levels of nitrogen and promote healthy plant growth. 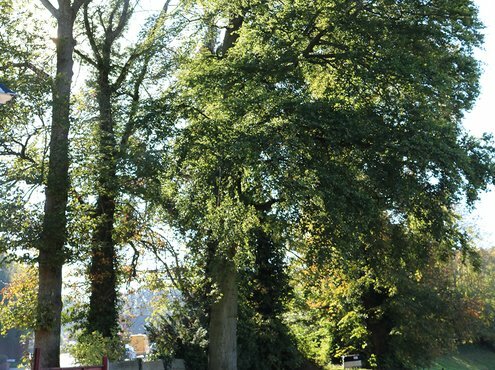 Obviously, we don't want to be stimulating a huge amount of leaf growth over the winter months and it's important to keep the sward healthy and disease free." "I use Maxwell Advanced Generate along with a liquid fertiliser in the summer months which is well balanced for the growing season; the iron and magnesium in this provide good colour and healthy turf." "We focus our first team cricket in the middle of the square and carry out preparations over a two-week period. The square is cut three or four times a week and is verti-cut fortnightly to keep on top of the sideways growth and to keep the thatch out of the square. I like to think the square is reasonably clear of rubbish and the SISIS Rotorake helps greatly, allowing me to verti-cut, sarrel-roll and brush. I probably use the brush attachment more than anything and the inter-changeable reels mean you need so much less machinery in the shed. As I'm a bit old school, I tend not to use the mechanical brush in wicket preparation as it tends to leave tyre marks, which I don't like. Therefore, everything is done long hand with the SISIS Lawnman and rake attachment to achieve the best result." 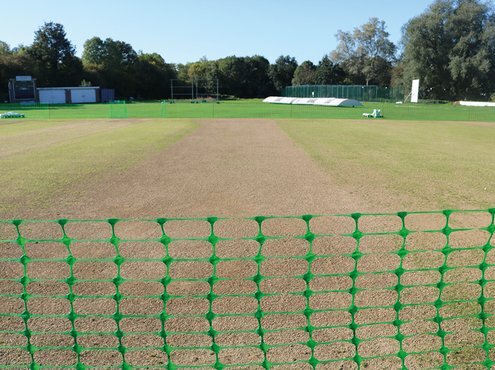 "Starting with play from the first team and then moving to the second team and seniors or youths, a normal wicket would be used three of four times before laying it to bed so we probably get in the region of 350-400 overs of cricket from each wicket." Historically, Gary explained that the pitch has played quite slow and low. That's as a result of some work that was done twelve to fifteen years ago. "I know there is 2 inches of Kaloam that sits on 5 or 6 inches of another loam and, having spoken to people that were involved in the club around that time, the square was relayed to a depth of 2 inches. At that time, it seemed Kaloam was the product everyone wanted to use, however, I guess they weren't aware that Kaloam won't knit readily with other products. It shrinks at a faster rate than the others so, when the weather dries, we end up with a slab effect and a break between the two layers. I definitely think that's the reason we have experienced issues with bounce and carry." 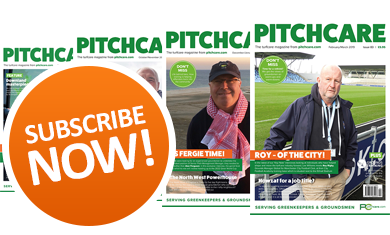 "This year, we've experimented a little by leaving the sward slightly longer which has helped but, short of removing the 2 inches off the top, we probably need to verti-drain to a depth of 6 inches and then heavily topdress with the loam to get the material down into the base layer." "In an ideal world, where money isn't an issue, we would dig it up and start from scratch. But, like most clubs, we're not in a position to do that." "Infiltration rates on the square are pretty good. I toyed with the idea of using a wetting agent, but I haven't gone down that road yet. And, to be honest, I would need to know a little more about them before even considering it as I'm not that clued up. It isn't something I would want to do based on someone suggesting I should. I need to satisfy in my own mind that it's the right thing to do on this surface. If there was ever a year to do it, this would have been it, but I wasn't brave enough." "This season, I had to sacrifice some areas of the square but generally it was on both sides in order to focus the watering effort into the middle. We experienced some cracking (between 5mm and 10mm), but this was nothing compared to other places which had gaps you could fit your fist into. It was far from ideal, but we still managed to get a good amount of moisture in the ground before we rolled." The outfield of the site used to be a rubbish tip, so there's an ash base all the way around. Gary had experienced quite a lot of surface retention but that was caused by compaction. The sand treatment applied last year and regular aeration has improved that greatly and means they don't generally get any issues. Gary commented: "If we lose games to the weather it's more likely to be because the square doesn't drain as quickly as the outfield. This tends to happen later in the season when we have bare ends to worry about. With all the best efforts, we can keep the strip we're playing on dry and maybe two or three either side, depending on how far you want to sheet, but we also have a slope running from one side of the ground to the other, and corner to corner, so this can increase problems." "If we're playing on the strip in the middle of the square, keeping that strip itself dry isn't an issue because we've got the roll on covers and I've got sheets that cover three strips either way but, once you take out of the equation the absorbency that the ground gives you, every drop of water that falls on those sheets is going somewhere. When you've got a slope to contend with, all you're doing is moving the rain that falls on the sheet (above the strip you're trying to keep dry) into the danger areas, so you could end up flooding the bowlers run ups. Which ultimately means we have to be really careful how the water runs down the square when it rains; if we can keep the water off it, the outfield should do the rest." When irrigation is required, it's usually done from the mains; ¾ inch pipe running to a stand tap using hoses and sprinklers although there is the scope to draw water from the adjacent river. "I slept over here a couple of nights in the summer just so that I could make sure we lost as little to evaporation as possible," Gary said. "Everybody here thought that I was crazy, but I knew that if I put in that extra effort in that respect, it would make the job easier in the long run; whether that be later that week or that month. We didn't know, at the time, how long the hot spell would last so it seemed like the best option, given we don't have an irrigation system in place." For the level of cricket played at the club the drainage, which was installed many years ago, is more than adequate. Members have reportedly said that the drainage lines visible today (which have emerged over this incredibly hot summer), were last seen in 1976. Walking around in the direct heat, one sunny October afternoon, Gary commented that you couldn't want a better job. "I love working on my own. You've got to be a particular type of person to want to do this job and not overthink things when you have so much time to deliberate everything. I used to have a transport business and drive a lot, so I got used to being comfortable in my own company. This is no job for a worrier!" "Although it's nice to put your feet up once we get into October, I actually miss the workload during the closed season. I only need to cut once a month or so during the winter as and when the weather allows. 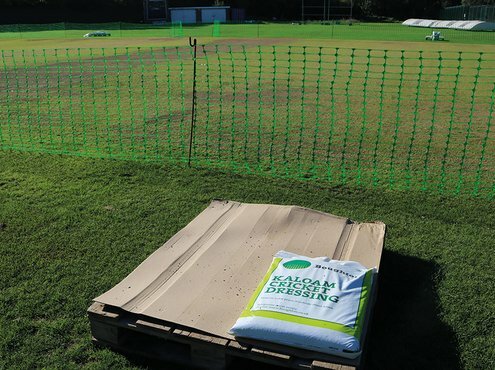 We use Johnsons Premier wicket seed which gives us good germination rates and we're lucky that we don't tend to suffer too much from disease." "The quieter months obviously give us time to carry out maintenance on all of our machinery. We tend not to buy new machines; last winter I purchased a second-hand Toro Sidewinder, spent some money refurbishing the business parts and it's run really well for us this season. I exclusively use Dennis FT510 and FT610 mowers and I have two SISIS Rotorakes with different attachments to allow us to brush, verti-cut and sarel roll. Apart from the heavy renovations, we can pretty much do all the work with our own kit." "I really like the versatility of the Dennis and SISIS equipment and they do as much or as little as you want them to do. The interchangeable cassettes are great, and I have a spare cutting cassette for each machine. This means that if I pick up a stud on the square and it knocks the bottom blade out, I don't have to worry about losing the machine whilst it goes away for a week to be repaired." "Aeration is mainly done using sarrel rollers for both the FT610 and Rotorake machines, but I really like the Greencare Coremaster spiking machine that we have. It's a pretty old machine and is twelve tines wide which enables me to use alternate chisel, hollow and solid tines as required down to a depth of approximately 5-6 inches. 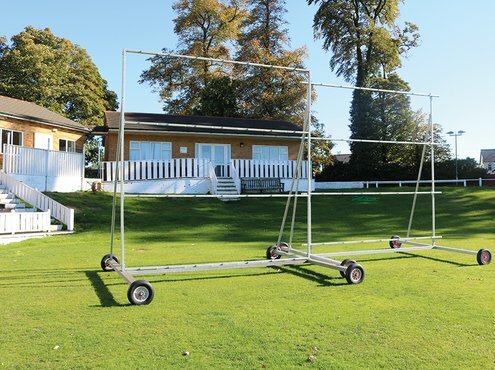 As the name suggests, the machine wasn't meant for use on cricket fields and is far more at home on a golf course or bowling green, but I picked it up three or four years ago for very little cost and it's added great quality. It's an Australian brand and the company is no longer trading, so sourcing parts is somewhat of an issue and something that we might need to address in the not too distant future, but for now it's still working ok."
Over the past couple of years, the focus of the club's investment has been around the ground. Just over a year ago, they installed a new net facility in one of the corners which cost the best part of £70,000 and was provided by grant funding. 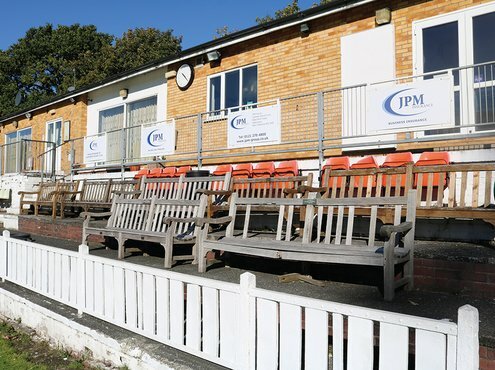 Future ambitions at the Club are for promotion into the Premier League, but Gary recognises that won't come down to the quality of the square, that will be down the quality of the cricketers. "I'll do my best to improve the quality of the playing surface moving forward. I'd like to think though that it compares favourably with the rest of our division and even some of the clubs in the league above us. Daryl Mitchell came here on August bank holiday to play for Brockhampton, in a league game against our first team and was very complimentary of the wicket. I've got a very good relationship with Alexei Kervezee, our Club Captain and with the guys who play here, and I'm sure they would be the first to comment if they weren't happy. Most are curious to find out what's going on in my world and, equally, I like to have a pint with them after the match as I think this helps have an understanding from both sides. After all, it's a team effort and we've all got a part to play in the club's success." "Similarly, I think most people in this this industry are always willing to offer advice whenever you may need a second opinion. James Grundy at Pitchcare is a valuable source of information or advice and I bump into Tim Packwood at New Road ground on occasion. In the past, I've sought his opinion at times on whether something is wrong, right or otherwise and he's always been very helpful and willing to offer his thoughts."